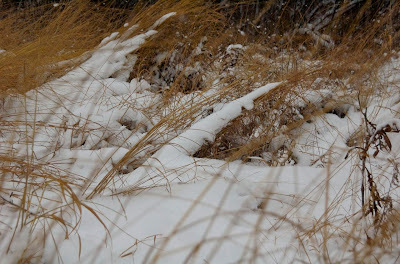 Today I'm sharing a quick photo of snow covered grasses and prairie land. I'm so ready for spring. I have gotten some nice photos this winter. Should have gone out and froze with the tripod last night as the moon was big and full but it was only 6 outside and I'd felt bad all day so I went to bed instead.